Art Spiegelman was born and raised in New York, and began working as a cartoonist while still in High School. He attended the State University of New York in Binghamton, where he studied Philosophy. Spiegelman, who continued to work as a cartoonist, mainly in underground publications, throughout his schooling, has long been acknowledged as one of our era's foremost comic book artists. However, it was Maus, published in two volumes in 1986, that first brought his work to a mass audience. Maus tells the stories of a Jewish survivor of Nazi Germany and his son. Portraying the Jews as mice and the Nazis as cats, the cartoon approaches the "unspeakable through diminutive." Maus won a Pulitzer Prize—the first, and only, graphic novel to do so. 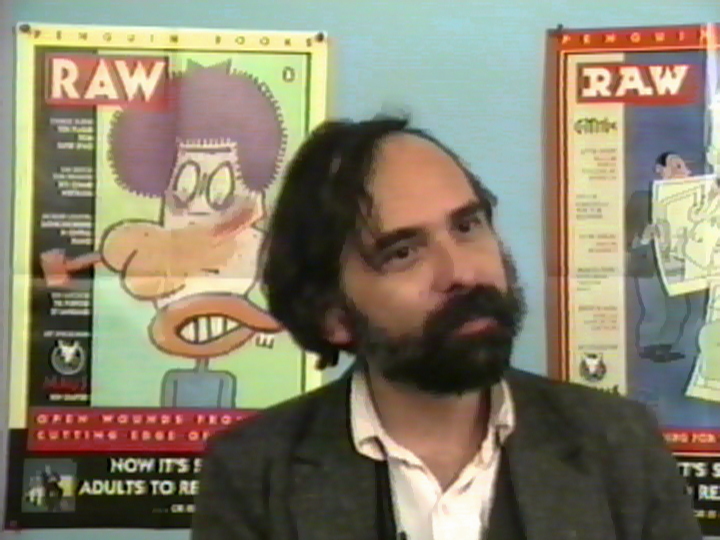 Spiegelman is co-founder/editor of Raw, the acclaimed magazine of avant-garde comics and graphics.